Agumbe is a small village located in Shimoga district in the Indian state of Karnataka. It is sometimes called “The Cherrapunji of the South” after Cherrapunji, in Northeast India. Agumbe is a small hill village with very limited visitor accommodation. The population is approximately 500 people. The villagers of Agumbe are livelihood farmers. Agumbe lies in a hilly, wet region of the Western Ghat mountains. This geography contributes to its scenery, suitability for trekking, leech infestation. In addition, there are a number of waterfalls in the locality. Sunset View Point rests on one of the highest peaks of the Western Ghats on the Udupi-Agumbe Road. 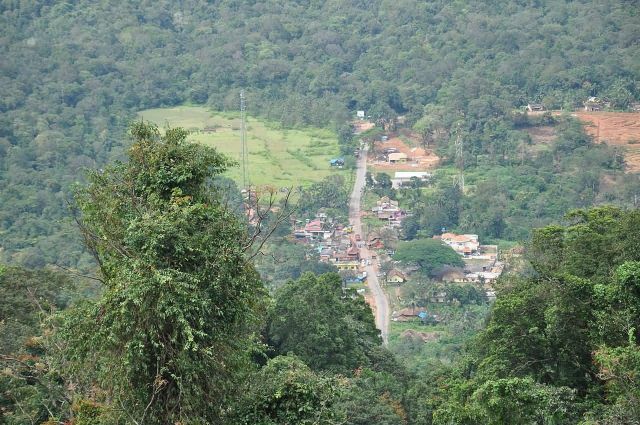 It is 10 minutes walk from Agumbe. On a fine evening, the sunset can be seen over the Arabian Sea.